The Florence Academy of Art Summer Scholarship Competition! About. The Florence Academy of Art is excited to offer 3 talented entrants the chance to come and study with us this July in Florence on one of our summer workshops. Winners will be given the chance to choose the workshop (Drawing, Painting or Sculpture) of their choice (space permitting). The Academy will provide easels and drawing boards. Winners are asked to bring their own materials (paints, brushes etc.). With expert tuition, students will learn the techniques and practices of the Old Masters during their 60 hours of classes, and take part in guided tours to Florence’s principle galleries and museums (Uffizi Gallery, the Accademia Gallery housing Michelangelo’s David, the Bargello Sculpture Museum and the Palatine Gallery at the Pitti Palace). Deadline for applications: Friday, May 3, 2019. Our 10 Finalists will be announced daily on our Facebook and Twitter pages from May 6, 2018. The 3 Winners will be announced from among the finalists on May 15, 2018. Eligibility. This competition is open to people of all ages and backgrounds who have not studied prior at The Florence Academy of Art. Judges. The Academy’s founder and director, Daniel Graves, along with several members of the Florence teaching staff, will select the winners from the examples of personal artwork submitted. The judges will be looking for an interest in figurative realism, an attempt to work from life or copy an old master, and artistic strength. II: Image requirements: 3 low resolution jpeg images (maximum 72 dpi). Include your name and title of the work in the JPG file title. III: Maximum 250 words about yourself. Like us on Facebook and follow us on Instagram for competition updates. For terms and conditions please read below. 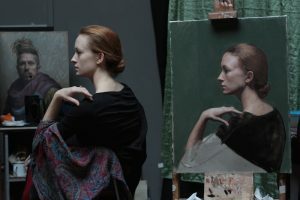 You will not be eligible for the contest if you have studied at The Florence Academy of Art, or if you are an employee of The Florence Academy of Art or affiliated with anyone on the judging panel. A winner under the age of 18 years of age will be required to obtain a waiver from their legal guardian to attend The Florence Academy of Art. Italian law also requires students under 18 to be accompanied by a legal guardian during field trips. There is no entry fee and no purchase necessary for this contest. Closing date for entry will be May 3, 2019, at midnight. After this date, no further entries will be permitted. 10 Finalists will be announced on our Facebook page from May 6, 2019. The winners will be announced from among the finalists on May 15, 2019, on The Florence Academy of Art Facebook and Instagram pages. The Florence Academy of Art holds no responsibility for any entries not received through the application website. The prize is as follows: three winners will be selected and given a place in the summer session 2019 workshop of his or her choice (space permitting as of May 15, 2019). The First Prize winner will also receive lodging in a furnished apartment with fellow students from the program. No cash alternative to the prizes will be offered. The prizes are not transferable. Prizes are subject to availability. The winners will be announced on the Florence Academy of Art Facebook page and notified by email within 15 days after the closing date. If the winner cannot be contacted or does not claim the prize within 14 days of notification, we reserve the right to withdraw the prize from the winner and pick a replacement winner. The winners agree to the use of his/her name and image in any publicity material. Any personal data relating to the winner or any other entrants will be used solely in accordance with current U.S. data protection legislation and will not be disclosed to a third party without the entrant’s prior consent. The Florence Academy of Art’s decision in respect of all matters to do with the contest will be final and no correspondence will be entered into. The Florence Academy of Art is not responsible for the length of the visa process or release of the appropriate visa for entry to Italy by the Italian consular authorities in the countries of the winners. The contest and these terms and conditions will be governed by U.S. law and any disputes will be subject to the exclusive jurisdiction of the courts of the United States. This promotion is in no way sponsored, endorsed or administered by, or associated with, Facebook, Twitter or any other Social Network. You are providing your information to The Florence Academy of Art and not to any other party. The Florence Academy of Art reserves the right to cancel or amend the contest and these terms and conditions without notice in the event of a catastrophe, war, civil or military disturbance, act of God or any actual or anticipated breach of any applicable law or regulation or any other event outside of the promoter’s control. Any changes to the contest will be notified to entrants as soon as possible by the academy.